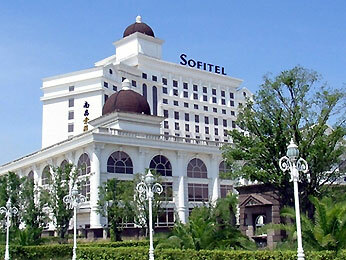 Sofitel Trilec Nanchang is located in the heart of the citys new business district and features 186 rooms, 3 restaurants, a karaoke bar, nightclub, business centre, tennis court, spa, indoor swimming pool and banqueting facilities. Nanchang is the capital of Jiangxi Province and is situated on the south western shore of Poyong Lake, Chinas largest freshwater lake. Historic attractions, including Shengjin Pagoda, Ruzi Pavilion and Shuiguanyin Pavilion, are located within the city perimeter.